The I Do's Have it! 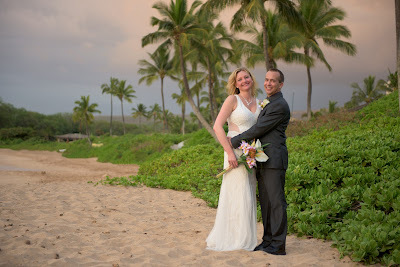 Maui Beach Wedding Bliss at Kapalua Bay. 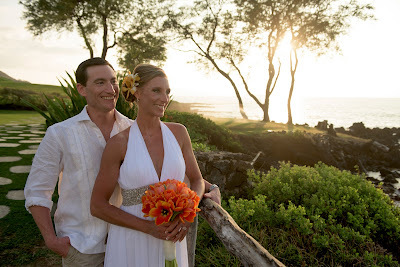 Looking for a fun and casual way to celebrate your wedding ceremony that won't break the bank but still offers romantic amenities and professional imagery? Do you need a location that will blow you away yet still is a short walk from the parking lot? How about a coconut grove in addition to a spectacular beach, just for grins? Well, we have that location here on Maui at it's called Kapalua Bay Beach, a beautiful crescent beach with white sand, black lava rocks and enough sea turtles to ensure you witness one of these incredible creatures during your visit there.